This book is simply a masterpiece. Please note that it is an adult book and has some raw and honest scenes and descriptions that are maybe not appropriate for young ages. On top of that, I would say that this book is more literature than fiction. It is written in a sometimes complicated structure and a deep, mature voice. Personally, I just loved it. The plot doesn't need much introduction. 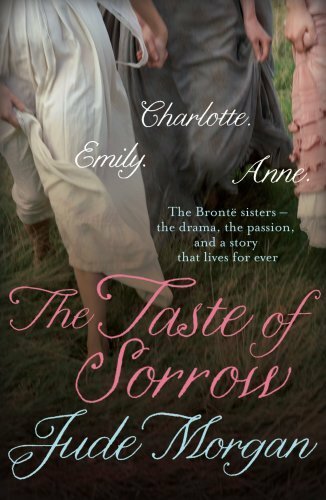 This is the story of the Bronte sisters, Emily, Anne and Charlotte, of their brother, their father and of their family life. Detailed references are made to their childhood and to the events that shaped them as persons and as writers. Also, we are told about their journey until their first books were published and their lives until then as well as afterwards. It is a captivating book. And the strange thing is, it doesn't live a taste of sorrow in your mouth, rather the deliciousness of a life well-lived, of joys and of tragedy, of creativity and of pain, and ultimately, of respect for these girls who changed the world with their pens. I want to read this book again, and I am sure that I will discover new things every time I read it. Thanks for visiting my blog. I'm following yours as well. I hadn't heard of this book before but it sounds really interesting. On to the goodreads 'to-read' pile it goes! oh thank you Celesta. it is a really great book, in my opinion.